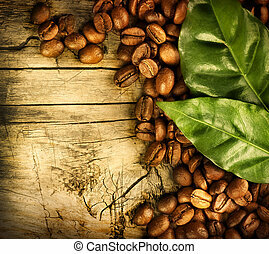 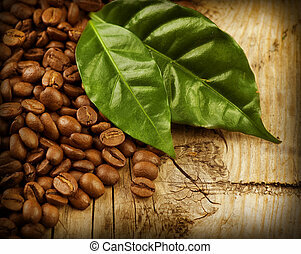 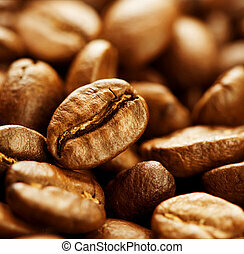 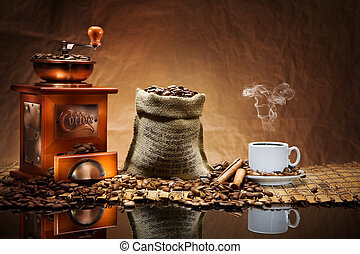 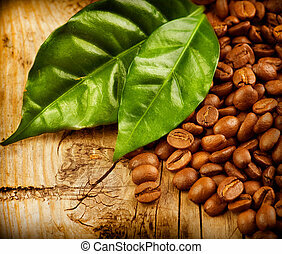 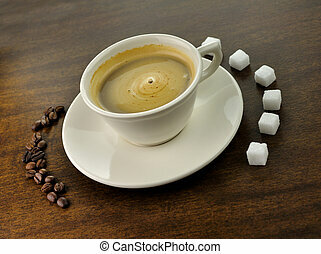 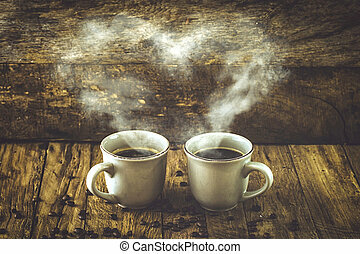 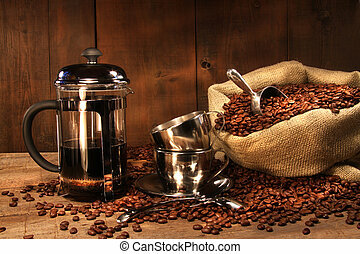 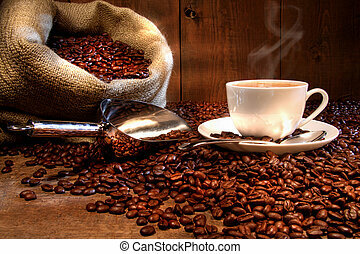 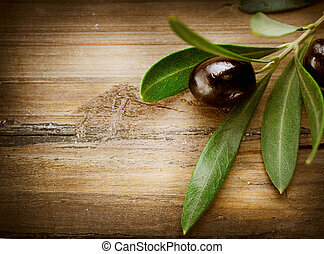 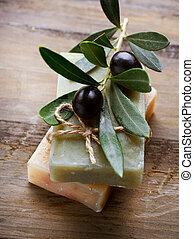 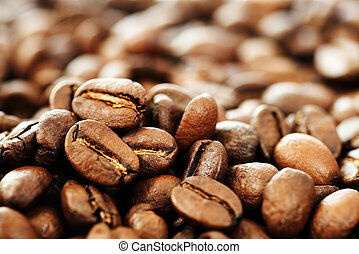 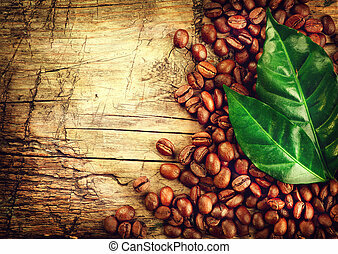 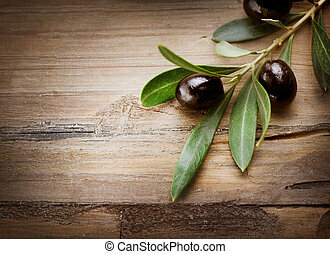 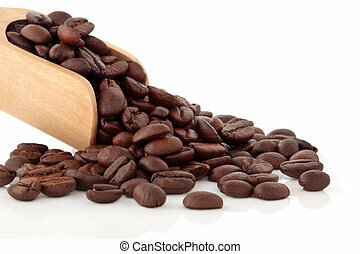 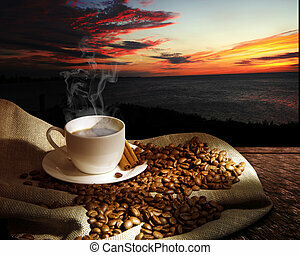 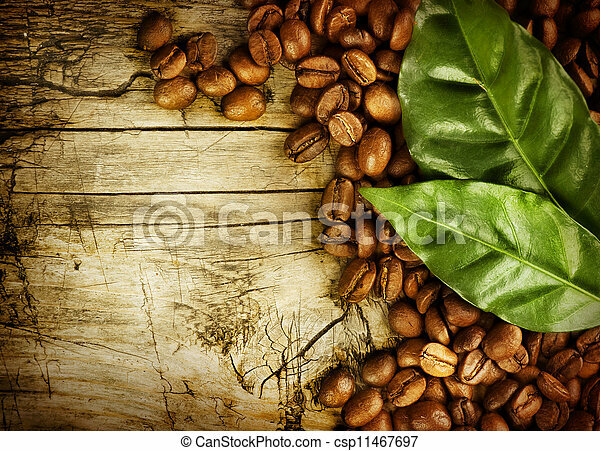 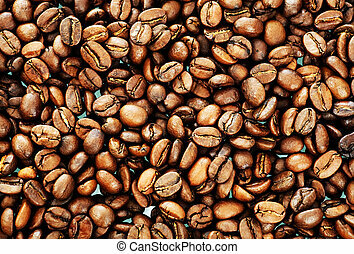 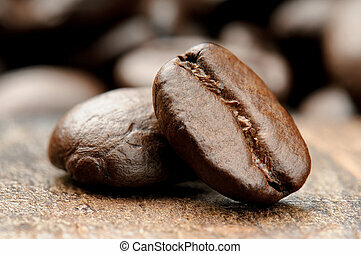 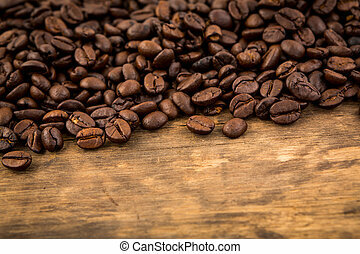 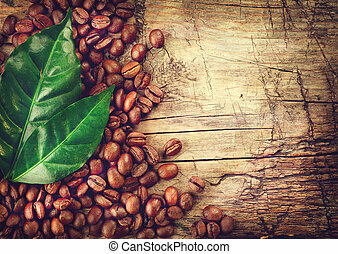 Coffee beans over wood background. 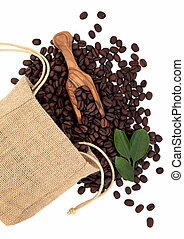 Coffee beans in a hessian drawstring sack and loose with leaf sprigs and olive wood scoop over white background. 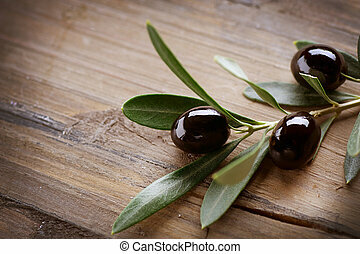 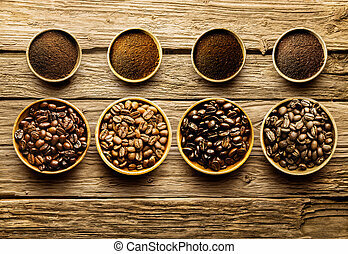 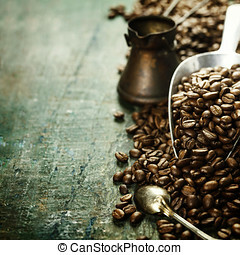 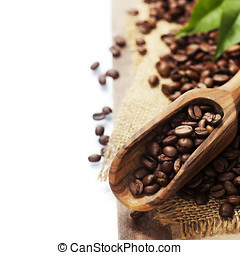 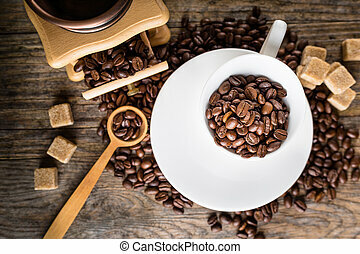 Coffee beans in a wooden scoop and scattered, isolated over white background. 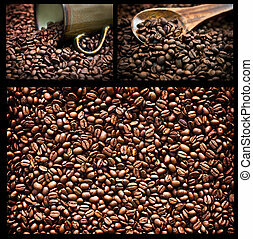 Collage of various photos of coffee beans.